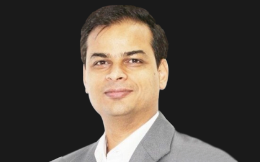 Ratnakar Pandey has more than 15 years of experience in analytics and data science fields. At Kabbage, he is leading the machine and deep learning models development activity across customer life cycle, from acquisition to customer engagement to fraud prevention to risk based underwriting policy development. Prior to joining Kabbage, he has been a part of the data science leadership team in Citigroup, Target, Texas Instruments, and few startups in India. He has got an MBA from ISB Hyderabad, MS from the University of Arkansas, and Btech from HBTI Kanpur. How can you Identify Fraud in FINTECH Lending using Deep Learning?